1″ Electric powered submersible pumps. These units are ideal to move small volumes of water. 2″(50mm) petrol powered trash pump. These units are centrifugal and designed to move high volumes of water fast, allowing the passage of solids up to 20.67mm (13/16″) in diameter to flow through without clogging. This makes these ideal for applications such as dirty dam water, piggeries, and slurries. They are capable of pumping up to 850 litres per minute. 3″ (75mm) petrol powered trash pump. These units are centrifugal and allow passage of solids up to 27mm (1 1/16″) in diameter to flow through the pump without clogging. This makes these units ideal for jobs such as dirty dam water, piggeries and slurries. They are capable of pumping up to 1450 litres per minute. 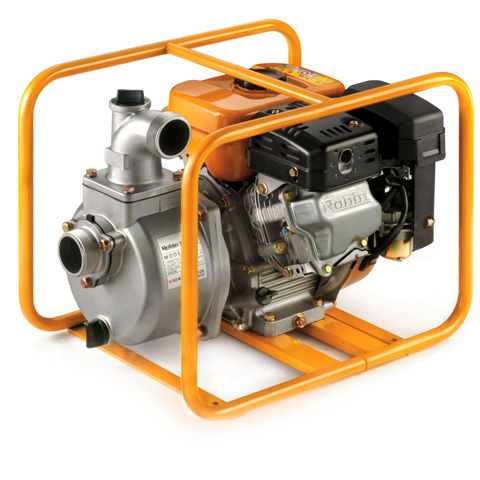 4″(100mm) petrol powered centrifugal self priming pump which is capable of delivering up to 2000 litres per minute at a total head of 23 metres. This pump is ideally suited to agriculture, construction and also mining applications. Comes on a wheeled steel frame assembly for ease of tranport and manouverabilty on site.